Mrs Ratna Prabha said on Thursday that she would address problems of people through ‘Janata Darshan’ style interactions. Ratna Prabha loves to work to solve problems of the people. 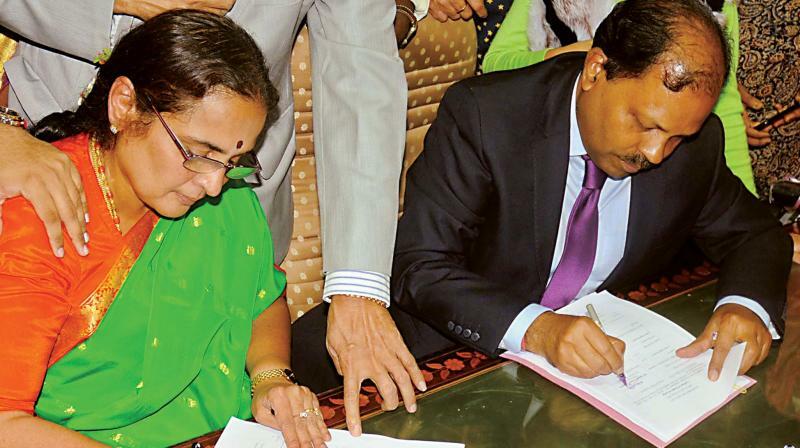 Bengaluru: Touched by scores of well-wishers who arrived from across the state to greet her on the first day in office as Chief Secretary, Mrs Ratna Prabha said on Thursday that she would address problems of people through ‘Janata Darshan’ style interactions rather than depend on App-based processes.